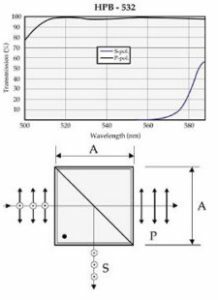 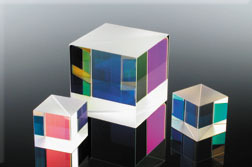 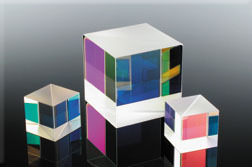 These polarizing cube beamsplitters are intended for use with high power lasers operating at a single wavelength. 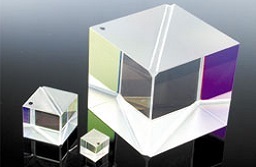 They are coated to achieve a high extinction ratio between the s and p components. 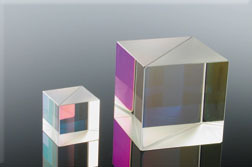 They are manufactured from either BK7 or UV Fused Silica prisms which are optically contacted and provides an extinction ratio of 200: 1.